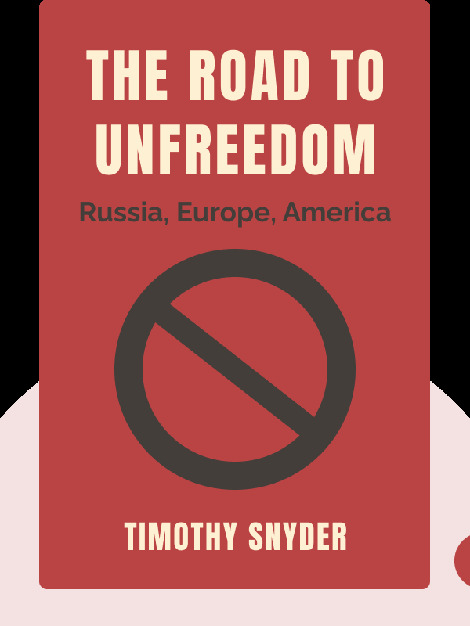 The Road to Unfreedom (2018) chronicles the extraordinary political age we are now living in. Russian expansionism, led by Vladimir Putin, threatens to encroach on the freedoms that people in Europe and America enjoy. After having successfully helping to bring about Brexit, the Kremlin set its gaze on the United States and, in doing so, played a central role in ushering in the Donald Trump presidency. And with Europe in the midst of a right-wing ascendancy, Russia is wielding a greater influence than ever before. 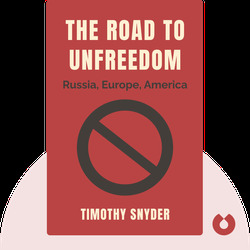 Timothy Snyder is an American author and the Richard C. Levin Professor of History at Yale University. In addition to being a permanent fellow at the Institute for Human Sciences in Vienna, he has authored numerous critically-acclaimed historical works such as Bloodlands and On Tyranny: Twenty Lessons from the Twentieth Century.